Listen to an extremely pretty folk song from the New York band’s second full-length. For a simple folk song, "What I Wanted to Hold" packs a big punch. It's our first preview of the new Florist full-length, which is called If Blue Could Be Happiness and comes out this fall. And what a gorgeous preview it is, thanks to a bevy of atmosphere-building quirks and some heartbreakingly visceral poetry. I honestly almost shed a tear the first time I heard Emily Sprague sing "when the summer goes long and the water stays warm/ I remember the faces of everyone I’ve loved." It's a killer line, devastating in its directness. "It's a contemplative journey, mostly about impermanence and how important it is to recognize that as the dominant theme of life," Sprague said of "What I Wanted to Hold" over email. "It also deals with the melancholy of remembering and the little associations (colors) that we make to people and places, to hold on to these things that are either already gone, nearing an end, or just beginning." 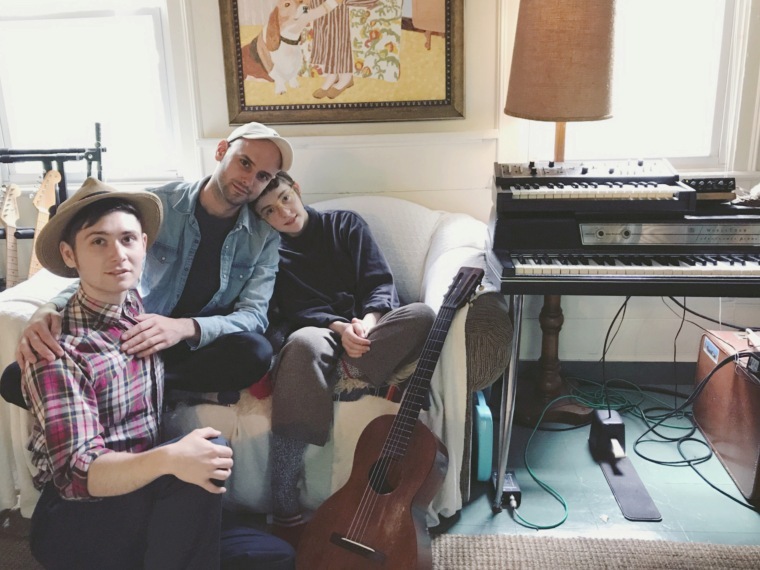 Listen below, and check out Florist's upcoming tour dates with Pinegrove and Lomelda. If Blue Could Be Happiness comes out September 29 on Double Double Whammy.